Workers are entitled to carry out their work in a safe environment, and individuals or companies in charge of the workplace are responsible for ensuring that safety as required by law. Our experienced and skilled Chicago injury lawyers have represented many individuals injured in a work accident. Employees injured as a result of their employer's negligence are entitled to seek compensation under their state's workers' compensation system. If, however, injury results from the negligence of someone other than the employer, such as a contractor, the injured party is entitled to seek damages separate and apart from a workers' compensation claim, as in all other negligence cases. 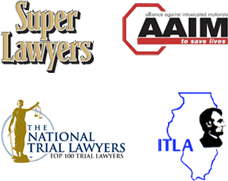 Our Illinois and Chicago Work accident attorneys are prepared to help you with the legal matters following a construction accident. The personal injury and wrongful death lawyers at Nemeroff Law Offices represent many victims who are injured or killed by the negligence of others. We will help you recover the money damages you or your family is entitled to. At Nemeroff Law Offices our Chicago personal injury attorneys have extensive experience representing victims who have suffered an injury in a construction or work accident. If you or someone you know has suffered a personal injury in a construction accident, contact the Chicago Personal Injury attorneys at Nemeroff Law Offices. An experienced work accident injury attorney can discuss your situation and go over the options available to you. At Nemeroff Law Offices we work with insurance companies and other parties involved in your case to make sure all your needs are handled appropriately. We also handle railroad worker accident and railroad worker illness cases.